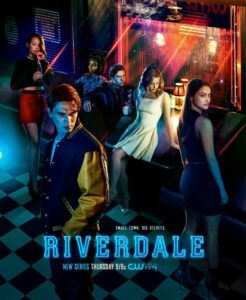 CRAIG: I feel The CW really, really wants Riverdale to work, and what better place to put it on a regular basis than on Tuesdays leading out of The Flash? Yes, it would face the same genre-to-drama dilemma the network ran into last year, but I wouldn’t be surprised if there are more genre elements in Season 2… also, I think The Flash’s audience, if they took the time to watch Riverdale, they may really like it…. not to mention there’s the fun Berlanti connection. I truly think that pairing could work, with something else subbing in at midseason if Riverdale should only have 13 episodes. SHILO: I know what you’re thinking – why isn’t The Flash leading into something new? Building this schedule under the assumption that Black Lightning will, in fact, be a midseason drama, I found the easiest solution to Tuesdays would be to time share Black Lightning with Legends of Tomorrow. As The CW’s previous new Flash lead-out No Tomorrow was smothered in the crib by This Is Us, and where none of The CW’s remaining development makes seems that suited for the post-Flash slot, I think they’ll use Legends of Tomorrow to absorb the blow from This Is Us. It’s a veteran that’s compatible with The Flash and different enough from This Is Us to where it could feasibly come out the other side in good shape; even if it takes some damage, though, it’s A) a third season drama on The CW, so it’ll absolutely be renewed and B) part of the Arrow-verse, so synergy should give it a boost if necessary. 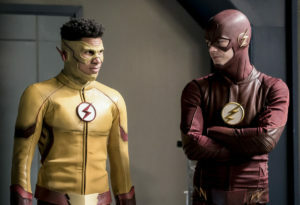 A better suited lead-out should keep Flash healthier next season and make it a pretty solid option for Black Lightning, which would avoid the brunt of This Is Us and get much more favorable competition. Plus, this keeps The CW from having to air five comic dramas at the same time, which is good for the sake of their brand.